Our practices were 1.5 hours at my home on Saturdays over the winter, and we mostly did the experiments from the LEGO Education kit (note that the kit and the teacher’s guide may be separate). These were fun and interesting, and let the kids find their own roles in the group over time. The Klutz LEGO book & pieces is excellent as well, and I’d suggest getting one per team member. I charged the parents $40 each for the season, and should have made it $100 to cover all the expenses, but it was well worth the time and money. I think we’ll have all 6 kids back this coming year, and a second team at our elementary is starting up for the same grade our son is in. Last year’s topic was climate, so we also talked a lot about climate issues, and the kids got interested in tornadoes and did their project on that. Worked out really well. I focused on making the kids do all of the work, and they really rose to that. In terms of forming a team, just decide to, recruit kids you want on your team, and register with JrFLL when it’s open (in 5 weeks, I expect). I decided to have 3 boys and 3 girls, which made for an interesting mix, usually in good ways. Coaching-wise, I’d suggest finding a second (non-spouse) coach to help fill the gaps, and then just plan out your practices one at a time. 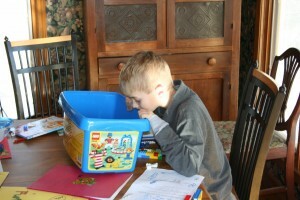 Don’t worry about the challenge at first, just focus on kids having fun with LEGO and covering a bit about the topic. Then work in more and more of it over time and nudge the kids toward doing things that they’ll need for the competition. Our team of 6 ended up with 4 distinct models in the competition, each of which played a part of our story about tornado safety. The models all connected story-wise but not “brick-wise”. And that was fine. Other teams had one giant model that was their entry. And that was fine. In my view, the main thing is to act as a shepherd guiding the kids toward working together on learning and building. That makes for a fun time for them, and a productive time for the team. Good luck, and as you can see, other coaches are happy to help you out as you get started!